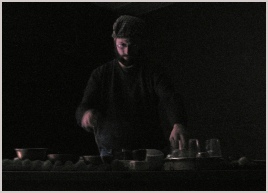 d'incise is a musician from Geneva, rooted in electroacoustic music but developing many projects with acoustic instruments. His main projects are the duo "diatribes" with Cyril Bondi and the INSUB. (ex.Insubordinations) label. ‘18MARS’ is a minmalist composition structured around the pitches of a piece of metal. The musicans play long held tones, following each other (or not) in their appearances and disappearances, allowing some timbral fading from one intrument to another, some using glissandi in the middle parts, and slowly allowing more and more space between their interventions.